Get complete protection for your carpeting with our Essential Cargo Liners. Our exclusive liners feature 2" tall edges that contain big spills and messy cargo. Engineered for a custom fit and warranted for life. Extra tough Thermoplastic Olefin construction is chemical and stain resistant and are quickly removable for cleaning. Thick and durable design provides guaranteed floor protection when hauling building materials, gardening supplies, the weekly groceries or a wet dog. 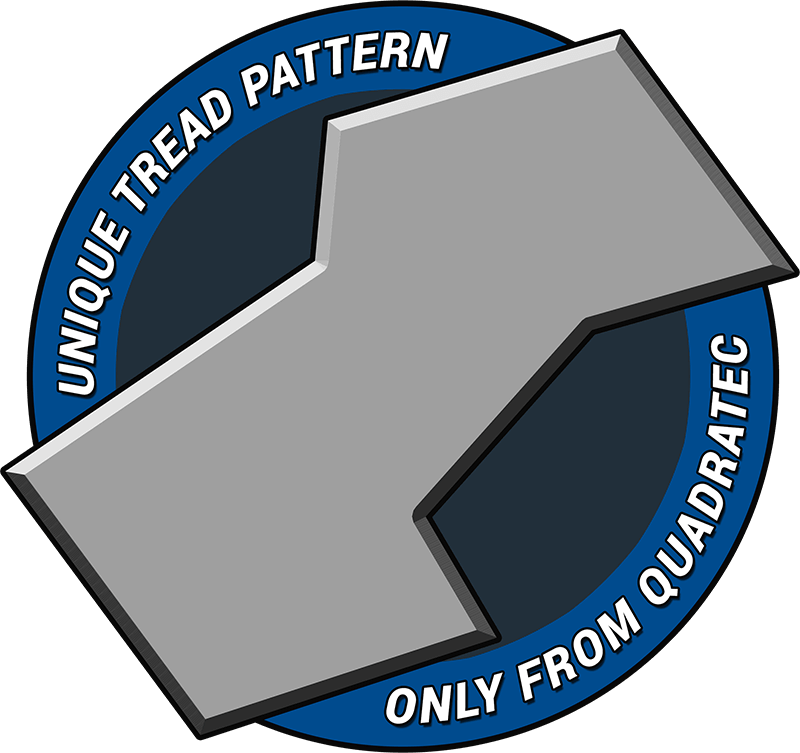 The shallow textured tire tread pattern helps keep cargo from shifting. Dont buy the cargo mat, fitment is complete garbage. I was really considering ordering just the fronts but I did not want to order from a seperate company. Wish I did! I wish I didn't buy this product, and normally I love Quadratech things. 1: The liner looks good, and I am able to put the rear seat in without any issue. Other reviews have stated that they have issue attaching the rear seat in a 2 door, and I don't really have the same experience. You do have to fold the seat up then lower it on to the rear latch, but with a small amount of force it latches fine. 1: It is extremely thin, I imagine this is because it needs to be thin enough for a rear seat to latch, but it's thin to the point where I'm worried I may puncture it easily. 2: It also slides around VERY badly. I had my dog in the back and the whole liner slides even with him walking on it while the Jeep is parked (it really needs some teeth in the bottom to grab the carpet - like what the rear seat floor mats have). 3: It's light enough that with the rear seat out and top/doors off I'm worried it's going to blow out of the back. I have not tested this, but that's how thin/light it is. 4: I understand they need a big mold, and manufacturing something like this probably is not cheap, but based on the material (and overall how poorly it stays in place) I feel it is extremely over priced. If it was half the price I would think about it, but probably not get it still. 5: have I mentioned how badly it slides around? If I have the rear seat out and put anything in the back, when I hit the breaks it slides into the back of the seats. Good fit, good price, good looks! I have a 2008 JK Unlimited with subwoofer. I don't see the unlimited option. Is it the same cargo liner for both the 2 door and 4 door? Hello, these cargo liners fit both 2 and 4 door models. Thank you for your question. I have a 2017 JKU, but that's not an option from the drop down. Will these fit? Thanks! Yes they will fit, you'll want part # 14255.0321 labeled "2015 Wrangler JK with or without Subwoofer" as they would be the same from years 2015-2017. Hi I have a 2016 Wrangler Unlimited Rubicon with the subwoofer will this fit?